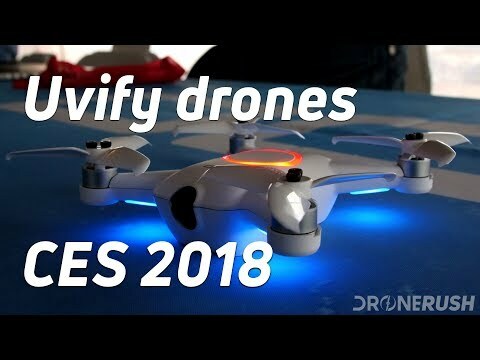 We first met UVify at CES 2018, where we were expecting to see many drones, small drones for children, big drones for professionals and everything in between, and we did! The team at UVify had a big presence on the show floor, and even more so at the Drone Rodeo – they stood out for me and even announced a small drone I didn’t think I’d love, boy was I wrong. 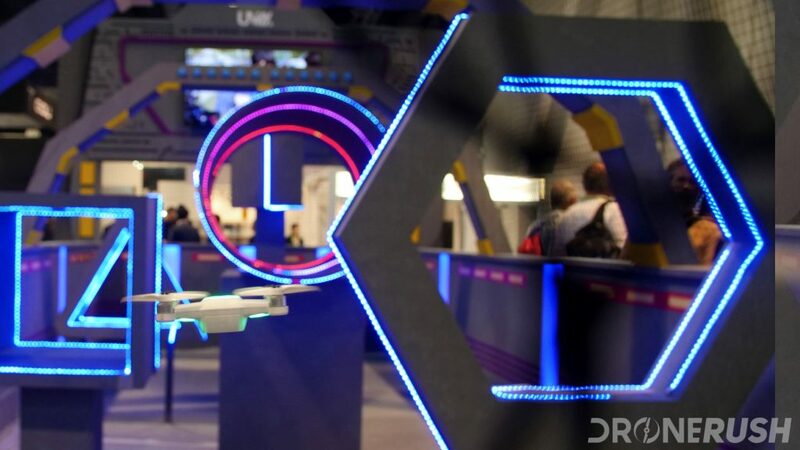 In addition to their Draco racing drones that won awards in previous years at CES, they were showing off their AI efforts and the UVify OOri, a mini drone safe to fly indoors, but also able to hit over 50mph on the race track. That was the beginning of our relationship with UVify, and only a beginning for all the drones they now offer. Let’s see all the machines that UVify has to offer. Update: In addition to all of the below, the Draco R now also offers RTK precision navigation. UVify may have landed in the mainstream for their racing efforts, but I was highly impressed by their AI work. 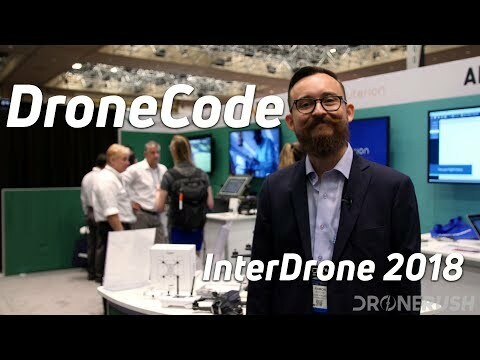 At CES 2018, particularly at the Drone Rodeo, they were demoing their prototypes for autonomous flight. The prototype worked its way through an obstacle course, showing its ability to self navigate. These efforts are destined for applications such as search and rescue, warehousing and more. More importantly, this research leads to features and functions that are going into their other drones. We should note a fun fact, they are using the NVIDIA Jetson as the computing system in their largest prototypes. As we know, this means there is a ton of computing power on deck to handle all of the navigational needs of the drone. We’re eager to explore this topic a lot more in the future, for now, racing drones! 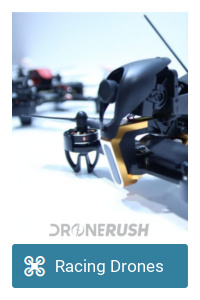 Drone Rush was not a site at CES 2017, otherwise we would have reported on Draco, a racing drone platform from UVify that won awards at the show. We’re here now, and got to see Draco in action – a modular racing drones that are keeping up with the best on the market at the race track. We watched a race in which a UVify pilot crashed. The crash was one of the worst at the Drone Rodeo that day, tearing a motor clean off of the drone. Before the pilot could retrieve his fallen racer, he was informed that his next race was in less than 5 minutes. A few quick actions with a screwdriver, he replaced the entire propeller arm, grabbed a fresh battery and he was on time for the race. He did have to fly with different colored propellers, but aesthetics are hardly of note at 100 mph. After a day like that, you can be sure we’ll explore this great racing platform more as we go. You can dive in with the Draco for $499, or bump up to the Draco HD for $799. The long-armed prototype of the Draco we witnessed in 2018 has evolved into a full drone series with DR1 Racing. The new UVify Draco-4×4 packs sixteen motors onto a long-armed Draco, and is covered in LEDs to make things bright. The concept is pretty simple, drone racing is fantastic fun for pilots, but a little hard to follow for the audience. By making larger drones, it will be easier for onlookers to appreciate the event. Pilots should enjoy the experience as well, requiring them to learn new flight techniques and endure larger courses. Having been in the flight cage while the Draco-4×4 is flying, I can promise you your heart will pick up pace when you see this drone in action. Because the Draco is so modular, the 4×4 version is just an update away for current Draco owners. Longer arms, a bigger battery and a ton of fun coming soon. 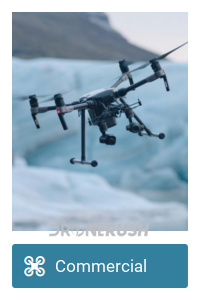 You may have noticed a trend here at Drone Rush, we tend to treat small and lesser capable drones as toys, tons of fun, but often impractical beyond that. Many have tried, but UVify has proven to me that size doesn’t have to be a limiter. 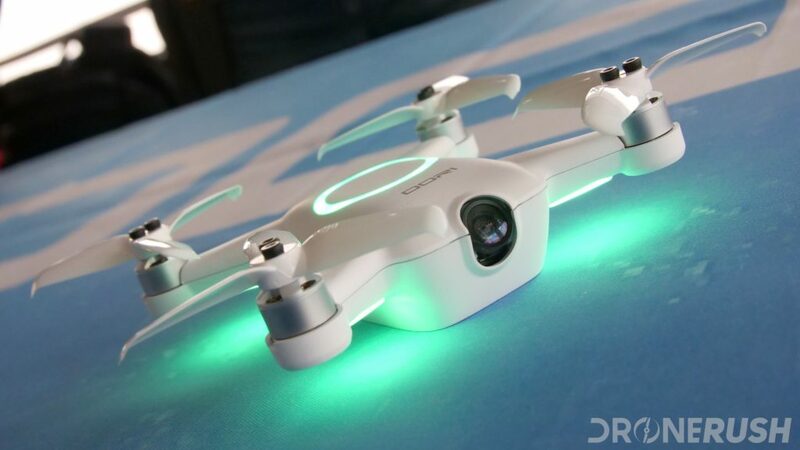 Their new OOri mini drone looks like a basic machine that fits in the palm of the hand, leading to the expectation it is a basic toy, but that’s wrong, very wrong. First and foremost, and I cannot emphasize this enough, OOri has position hold capabilities. This means it can hover on its own. I promise you this changes the game. A drone that does not hold position is fun, but somewhat hard to fly. We’ve seen self-hovering drones before, of course, but never in something this small. Great work UVify. 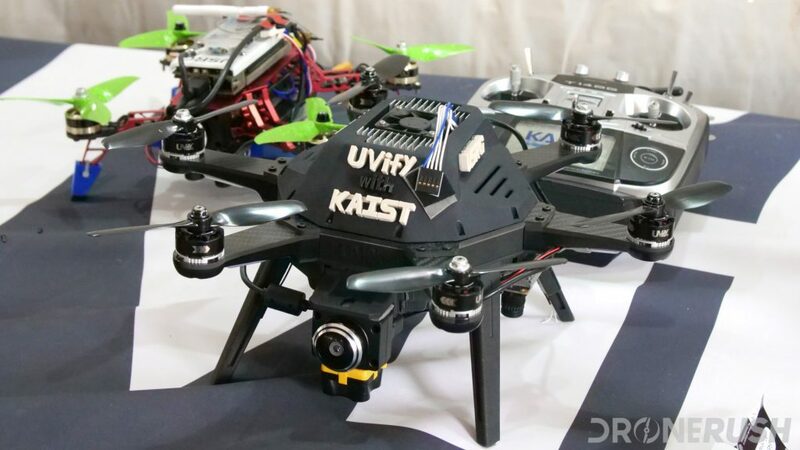 Perfect, you’ve got an easy to fly mini drone for the living room, that’s a great start, but remember that UVify has a history in racing drones, OOri can fly at up to 60 MPH!!! I don’t know about you, but that’s too fast for my living room. I can’t say enough about the concept of a drone that can grow with a pilot. A beginner can use OOri for bopping around. If you advance your skills with the drone, it can get you to the point you are ready to race a serious machine. OOri is not a serious racing machine, but it’s possibly the best racing trainer we’ve seen in a quadcopter with this level of fit and finish. Early pre-orders were $289, but I’m sorry to tell you you’ve missed the deal. You can now order UVify OOri for $345. It’s a bird? It’s a plane…. I’ll stop there, this is the Identified Flying Object from UVify, a business class drone ready to put you to work. You read that right, the IFO is a powerful, if simple, drone by itself, but when you put 20 or more of them together, light shows are soon to follow. Advanced connectivity and as much battery life as they could manage is packed on top of a huge led light, then you stack the drones together when charging to reduce travel woes. 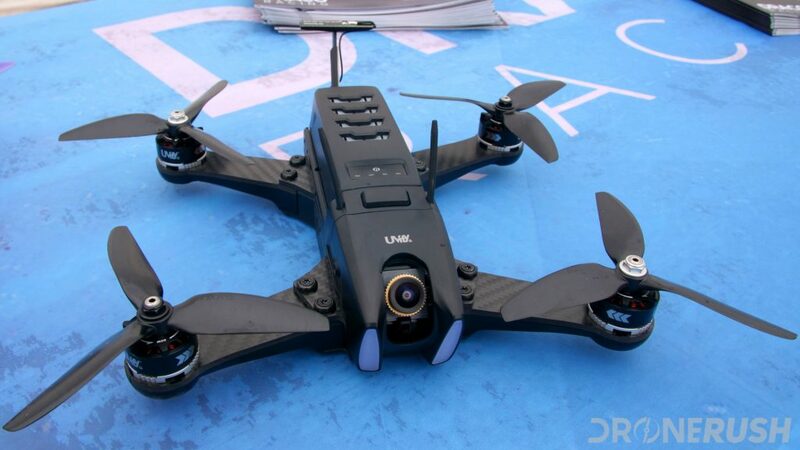 UVify will sell you an IFO drone, but that’s not the idea. Instead, take advantage of their business package, for a monthly fee, you get a minimum of twenty IFO drones and a no-nonsense replacement program. 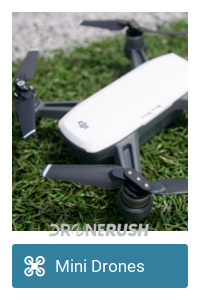 One simple fee puts a full drone entertainment business in your hands. Now you just need to find customers, make sure you abide by all the laws, acquire the proper waivers, and put those drone into the sky. We’ll help make more sense of this program for you soon, for now, know that you can be in business with ease, flying the new UVify IFO in your neighborhood. We had a great time hanging out with the UVify team at CES 2018. They had a fun booth with one of the best flying cages I’ve seen, drone simulators set up to play and plenty of friendly faces to answer any questions. We are, without a doubt, going to have to keep an eye on UVify moving forward. The drones and technology, more specifically, the capabilities of their consumer drones, are on par with the best machines from the top companies out there. I can’t begin to tell you how significant that is for how small of a company UVify is. 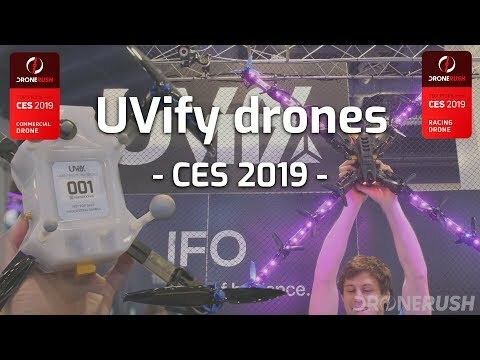 Exciting times for drones, thank you UVify for chatting with us at, and ever since, CES 2018.